This 17-year-old Black-ish star and style maven dishes on her favorite things. Yara Shahidi has pretty much sealed her spot as our favorite wunderkind. At 17-years-old not only is she the star of critically acclaimed ABC sitcom Black-ish, a polished public speaker, and a budding academic — she’s got style. So much style in fact that Fossil hand-picked her to be the face of their new smartwatch campaign. Yesterday, she teamed up with the classic watch brand for the first in a series of inspirational talks with The Lower Eastside Girls Club at New York’s women’s only club, The Wing. After inspiring a room full of women from every walk of life, the actress spoke with ESSENCE about why Fossil was a natural fit, how she’d love to raid Solange’s closet, and what she imagines her campus style will be like. We have a feeling she might be right about that one. When she’s not crushing on Solange’s style, Shahidi is cultivating her own. 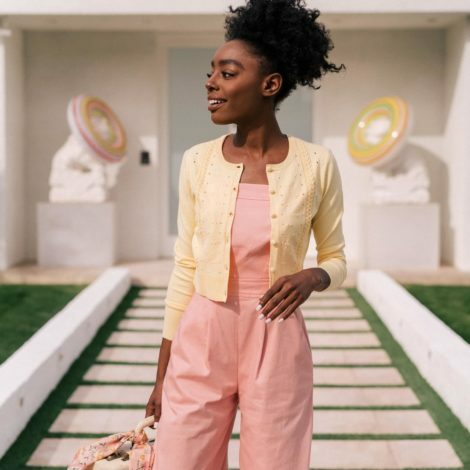 As she gears up to head to college in the fall, Shahidi (who managed to get into all of the top schools she applied to) has an idea of what her campus style will look like. “On campus I feel like it’ll range from really intentional outfits to ‘oh my goodness class is starting in 15 minutes’ jeans and t-shirt.” College and beyond, you can’t go wrong with jeans, a t-shirt and a chic smartwatch of course. Check out Fossil’s super stylish selection of smartwatches here.